What is the Salary Structure of SIB PO? SIB Probationary Officer Salary Structure – Check the detailed South Indian Bank PO Salary structure and in hand salary of a PO in South Indian Bank. Know the South Indian Bank PO Job Profile and duties before applying for the PGDBF Program Exam. Candidates who have applied for the South Indian PO recruitment must be wondering what could be the salary of a Probationary officer in South Indian Bank. 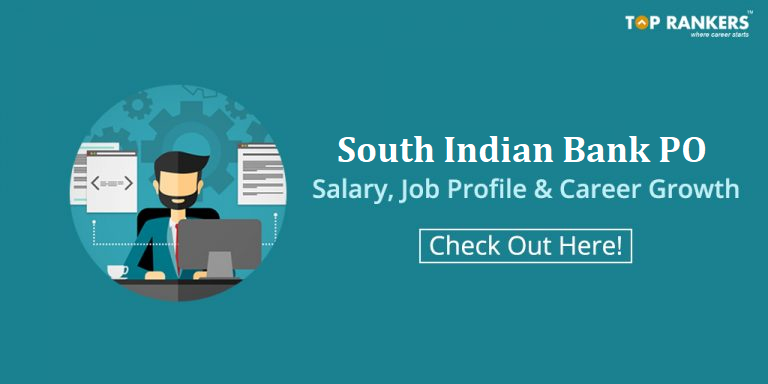 It is obvious that you feel eager about the job profile and pay scale of a PO for South Indian Bank. In this article, we have shared the complete salary details of the Probationary Officer at SIB. Being one of the oldest private banks in India (90 years), South Indian Bank provides a great payscale with many perks in it. In fact, they follow the exact pay scale fixed by IBA for Bank Officers. So, you might be the officer who is working with the same salary as a PSU bank. Scroll down to check more details about the SIB PO Payscale. The Salary of Probationary Officers vary to some extent. Different banks provide different perks and allowances. Depending on that, the salary of Probationary Officers may vary. Furthermore, there are always chances for promotion starting form scale 1. We have provided the approximate salary of a Scale I probationary officer at South Indian Bank. Thus the pay scale ranges from Rs. 23700 to Rs. 42020. Moreover, there are some additional allowances like DA, HRA, CCA, Special Allowances including medical allowances are provided to a PO working at South Indian Bank. special allowance of Rs. 1836. Thus Total SIB PO Salary in hand is Basic Pay + DA + HRA + CCA + Special Allowance. hence we see that the starting Gross Salary of a PO in SIB is Rs. 40746. The probation period is of 2 years. Confirmation will be a subject to satisfactory performance during probation. We hope you have now got an idea of South Indian Bank PO Salary Structure. Feel free to comment in case you have any query. We would be more than happy to help you! Also, keep checking the SIB Official website. Stay tuned for more updates on South Indian Bank PO Salary and Job Profile. You can write to us in the comment section below and we will get back to you. Till then..Happy Learning! !